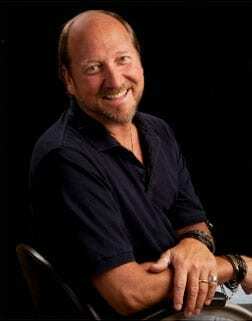 Daniel J. Kloeckener is a native St. Louisan and has three decades of hair styling and coloring experience. Daniel was trained by the late Markus Bluestein of Facade Ltd. and also studied in Kansas City and Chicago. He was further trained in advanced hair styling and coloring at Jingles International in New York City. Daniel is experienced in all facets of hair styling, coloring, and care using products which include: Redken, Scruples, Logics, and Matrix. Daniel specializes in highlights and lowlights foil technique. During his career, Daniel has worked with many popular salons. He increased his training and experience in advanced styling and coloring at each organization and still enjoys attending and participating in hair styling and coloring shows and conventions. Daniel’s career-long mission is to ensure that his clients appear as if they had just left his salon every day: “I want my clients to be able to care for their hairstyles so that they can do as good a job as I can.” To meet that goal, Daniel works with his clients to create a style which they like and he then helps them learn the steps they can take to re-create that style each day. Daniel has been married to his wife, Betsy, for 22 blessed years. Daniel and Betsy have two young men, Daniel and Reis, they loved dearly and who are currently attending college. Daniel works Monday thru Thursday with evening hours available. Please call 314-721-3637 for an appointment or additional information.